Joe received his bachelor's degree in communicative disorders in 1999 from West Chester University in West Chester, PA. He went on to receive his master's degree in speech and hearing sciences in 2001 from the University of North Carolina (UNC) in Chapel Hill, NC. Joe is a certified member of the American Speech-Language Hearing Association (ASHA) and is licensed by the state of California in speech-language pathology. At UNC, Joe received specialized training in autism through a grant sponsored by the US Department of Education. 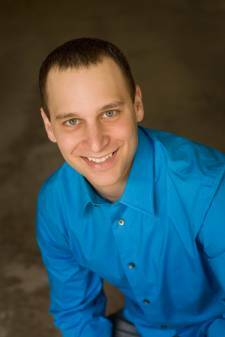 He combines his knowledge and experience with various forms of interventions including DIR/Floor Time, Applied Behavior Analysis, TEACCH, Picture Exchange Communication System (PECS), sensory integration, and traditional speech-language therapy when working with children who have been diagnosed with autism. In addition, Joe was trained in multiple treatments for childhood apraxia of speech. These include Dynamic Temporal and Tactile Cueing (DTTC), Rapid Syllable Transition Treatment (ReST), and PROMPT- an innovative therapy technique used to help patients form sounds and words through direct and indirect manipulation of the speech structures (e.g., lips, tongue, jaw). Joe has an interest in the complex language needs of older children and adolescents including narrative language (storytelling), expository language (explaining), descriptive language, and persuasive language. Joe is able to work with children at a ``macro`` level (structuring the language in an organized and sequential manner) and at a ``micro`` level (producing semantically and grammatically correct sentences). Joe is the author of Prosody Treatment Program, published by Linguisytems. This is the first comprehensive treatment resource available for individuals with disordered prosody, and is targeted to children ages 3-18. Joe is also the author of Power Books: Syntax, a 2-volume workbook that helps students ages 4-11 develop more complex language skills. Additionally, Joe is a musician with specialized training in music education for young children. He combined these skills with his expertise as a speech-language pathologist to create the multi-award winning Power Tunes, a CD designed to help toddlers and young children learn vocabulary, speech sounds, and early academic concepts. For more information about Joe's products, visit the ``shop`` page. © 2017 Rothstein Speech Pathology, P.C. All Rights Reserved.